1.5 hours of CE credit & lunch! 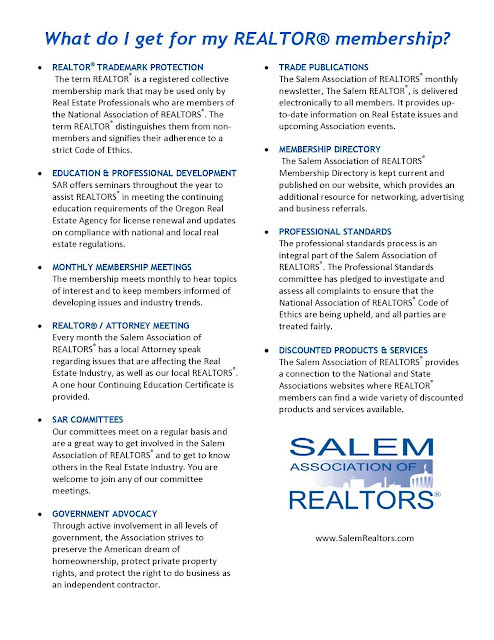 Join over 500 of your colleagues from around the State on the Capitol grounds in Salem to stand up for real estate industry issues for yourself AND your clients. Hear presentations on OAR’s legislative agenda and then meet and mingle with your legislators during a BBQ lunch and small group appointments. Let’s have a real show of force by getting as many REALTORS® to participate as possible! The first 60 SAR members that RSVP to the May General Membership Meeting, showing their Realtor® Rally name badge (proof of attendance), will not be charged for the May meeting! Complimentary Shuttles will be available between Mission Mill and the Oregon State Capitol. Oregon’s top political consultants and legislative leadership will share an insider’s perspective and highlight key issues for the 2015 Legislative Session. How will Key legislative issues impact Oregon’s housing market? Take time to learn the top legislative opportunities and threats to help strengthen and protect the dream of homeownership. Join your colleagues and members of the 78th Oregon Legislative Assembly for a complimentary barbecue lunch at the Oregon State Capitol. Share your expertise on the local housing market. This is your opportunity to show your commitment to preserving housing opportunities in your community. 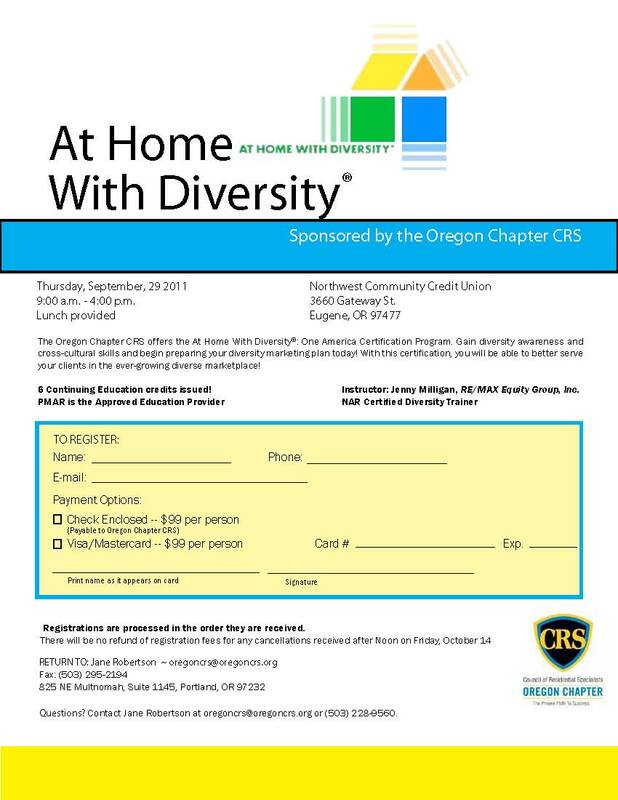 North Willamette Association of Realtors® (NWAR) What: Annual Awards Banquet & Installation of Officers When: Wednesday, October 9th | 6:30 pm Where: Country Meadows, 155 S Evergreen Ave, Woodburn, OR THIS EVENT IS FULL J Hope to see you there. Willamette Valley Multiple Listing Service (WVMLS) Several great classes in the line-up. Click here to view the calendar. The 6th annual Liberty House Champions for Children Fundraising Luncheon will be held Thursday, September 29, 2011 from Noon – 1:00 pm at the Salem Conference Center. Join other community members for lunch, learn about the important services provided to children in our community and ways you can help support Liberty House. To reserve your seat please contact Brenda Kidder at 503-540-0288 or email to bkidder@libertyhousecenter.org. There is no charge to attend the event, thanks to our wonderful sponsor Mountain West Investment Corporation. We hope you can be a part of this special day!